WHO INSPIRED YOU TO YOUR PROFESSION? Do you remember which author turned you on to reading with a passion? From the time I learned to sound out words, I’ve loved reading. When I became mesmerized, though, was in fourth grade when I discovered Nancy Drew mysteries. How could I not love an author who drew me to follow in her footsteps? The person I’m featuring today is not western, but she influenced a great many writers who have become western authors, including me. Under the name Carolyn Keene, Mildred Augustine Wirt Benson wrote 23 of the first 30 Nancy Drew mysteries. 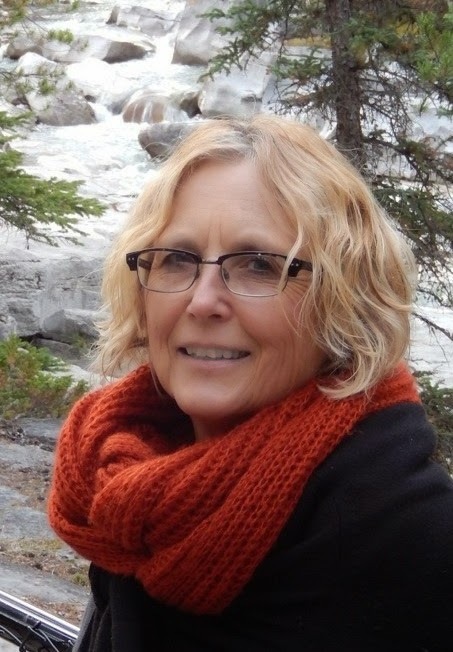 I had no idea, however, that she wrote many more young adult series. In addition to being a journalist, she was a prolific fiction author. Benson was born Mildred Augustine on 10 July 1905 in Ladora, Iowa to Lillian and Dr. J. L. Augustine. She earned her degree in English from the University of Iowa in 1925, returned and earned her master's degree in journalism in 1927, the first student to do so there. She worked for 58 years as a journalist. She married Asa Wirt, who worked for Associated Press, and, after Wirt's death in 1947, married George A. Benson, editor of the Toledo Blade newspaper of Toledo, Ohio three years later; he died in 1959. The character of Nancy Drew was dreamed up by Edward Stratemeyer, who provided an index card plot outline to Ms Benson. She took the plots supplied by the Stratemeyer and created an imaginative world of suspense that has thrilled young readers for many years. Wirt was the first ghostwriter to expand Edward's roughly-drafted Nancy Drew plots, writing the first five books. Texts were then edited and rewritten as required, and the Syndicate approved and had all final books published under the Syndicate's name. Subsequent Nancy Drew stories (with some exceptions), for which Wirt provided text, were all re-written by Edna Stratemeyer Squier and, primarily, Harriet Stratemeyer Adams, after their father's death in 1930. Published book rights for the Nancy Drew series were owned by the Stratemeyer Syndicate and are currently owned by Simon & Schuster. As with all syndicate ghostwriters, Benson was paid a flat fee of $125 at first and later up to $500 for each text, plus a Christmas bonus. At Edward Stratemeyer's death, under the terms of his will, all Syndicate ghostwriters, including Benson, were sent one fifth of the equivalent of the royalties the Syndicate had received for each book series to which they had contributed. 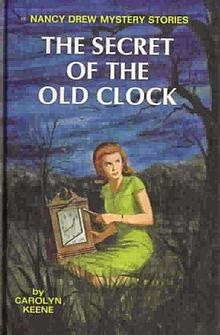 Ms. Benson was only 24 years old when she wrote the first book, THE SECRET OF THE OLD CLOCK. She did not churn out a mystery every six weeks as has been rumored. According to her website, the time varied from just a couple of weeks to up to a month or 6 weeks depending on scheduling and how quickly the publisher needed the book. 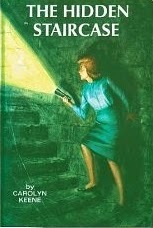 Also according to her website, her favorite of her Nancy Drew books was THE HIDDEN STAIRCASE. How I longed to find a hidden staircase or an attic filled with forgotten treasures. Never happened, but you probably guessed as much, right? The Nancy Drew books originally had 25 chapters and about 200 pages. In addition to 30 of that series, Mildred Wirt Benson authored 14 Kay Tracey books as Frances Judd, 18 Penny Parker books (which she told a reporter was her favorite) as Mildred A. Wirt, 16 Dana Girls books as Carolyn Keene, 4 Penny Nichols books as Joan Clark, 3 Connie Carl books as Joan Clark, and 3 Madge Sterling as Ann Wirt. In all, she wrote 135 books under a dozen or so names while working full time as a journalist. Ms Benston was inducted into the Ohio Women's Hall of Fame in 1993 and into the Iowa Women's Hall of Fame in 1994. In 2001, Benson received a Special Edgar Award from the Mystery Writers of America for her contributions to the Nancy Drew series. After retiring, in December 2001, she scaled back to a monthly column. She died at the age of 96 from lung cancer 28 May 2002. Mildred Benson was at work doing what she loved until the very last, they way she would have wanted it. I'm grateful to Ms Benson for the part she played in encouraging me toward creating and writing my stories. During World War II, between 1942-1946, Americans became suspicious of their neighbors, Japanese citizens of our country, because the citizenry believed the Japanese might have sympathies to their homeland of Japan, after the bombing attack on Pearl Harbor. Well, considering that Americans are a blend of just about every country on Earth, I found this piece of history particularly grievous. Unfortunately, this fear caused innocent people to suffer and to live in Internment Camps sprinkled across the western United States. This could be considered profiling at its worst. 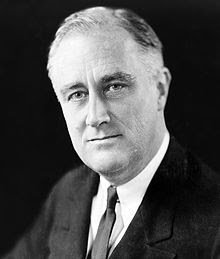 By Executive Order 9066 on February 19, 1942, President Franklin D. Roosevelt authorized local military commanders to designate "military areas" from which "any or all persons may be excluded." This power was used to declare that all people of Japanese ancestry were excluded from the entire West Coast, including all of California and much of Oregon, Washington and Arizona, except for those in government camps. Approximately 5,000 "voluntarily" relocated and some 5,500 community leaders were arrested after Pearl Harbor and were already in custody. 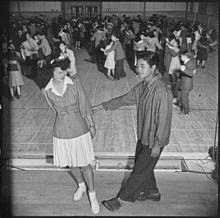 The majority of mainland Japanese Americans were "evacuated" from their West Coast homes over the spring of 1942. 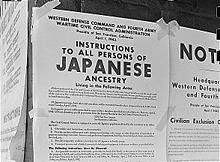 The United States Census Bureau assisted the internment efforts by providing confidential neighborhood information on Japanese Americans. The Bureau denied its role for decades, until 2007 when it was proven to be true. How frightening to learn that the Supreme Court of these United States. in 1944, upheld the constitutionality of the removal when Fred Korematsu's appeal for violating an exclusion order was struck down. The Court limited its decision to the validity of the exclusion orders, avoiding the issue of the incarceration of U.S. citizens. Doesn’t that make you wonder how our Constitution can be so loosely interpreted? Just to be clear, most of these Japanese Americans were second and third generation Japanese. Included in this scandalous act were Italian Americans and German Americans. March 27, 1942: General DeWitt's Proclamation No. 4 prohibited all those of Japanese ancestry from leaving "Military Area No. 1" for "any purpose until and to the extent that a future proclamation or order of this headquarters shall so permit or direct." 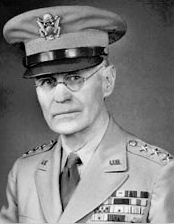 May 3, 1942: General DeWitt issued Civilian Exclusion Order No. 34, ordering all people of Japanese ancestry, whether citizens or non-citizens, who were still living in "Military Area No. 1" to report to assembly centers, where they would live until being moved to permanent "Relocation Centers." These edicts included persons of part-Japanese ancestry as well. Anyone with at least one-sixteenth (equivalent to having one great-great grandparent) Japanese ancestry was eligible. Korean-Americans and Taiwanese,  considered to have Japanese nationality (since Korea and Taiwan were both Japanese colonies), were also included. Internment was popular among many white farmers who resented the Japanese American farmers. "White American farmers admitted that their self-interest required removal of the Japanese." These individuals saw internment as a convenient means of uprooting their Japanese American competitors. Austin E. Anson, managing secretary of the Salinas Vegetable Grower-Shipper Association, told the Saturday Evening Post in 1942:"We're charged with wanting to get rid of the Japs for selfish reasons. We do. It's a question of whether the white man lives on the Pacific Coast or the brown men. They came into this valley to work, and they stayed to take over... If all the Japs were removed tomorrow, we'd never miss them in two weeks, because the white farmers can take over and produce everything the Jap grows. And we do not want them back when the war ends, either." Can you imagine what kind of press these declarations and presumptions would make in today’s news? Fear and hatred can cause people to say and do the most horrendous things. After the dust settled from World War II and people began to reconsider how the Japanese American were treated, the government made laws protecting American citizens. Beginning in the 1960s, a younger generation of Japanese Americans who were inspired by the Civil Rights movement began what is known as the "Redress Movement," an effort to obtain an official apology and reparations from the federal government for interning their parents and grandparents during the war, focusing not on documented property losses but on the broader injustice of the internment. The movement's first success was in 1976, when President Gerald Ford proclaimed that the internment was "wrong," and a "national mistake" which "shall never again be repeated"
The campaign for redress was launched by Japanese Americans in 1978. 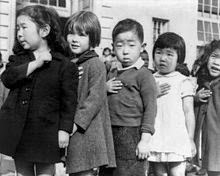 The Japanese American Citizens League (JACL) asked for three measures to be taken as redress: $25,000 to be awarded to each person who was detained, an apology from Congress acknowledging publicly that the U.S. government had been wrong, and the release of funds to set up an educational foundation for the children of Japanese American families. 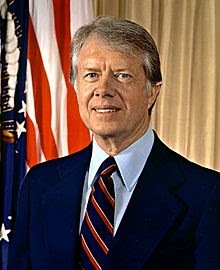 In 1980, under mounting pressure from the Japanese American Citizens League and redress organizations, President Jimmy Carter opened an investigation to determine whether the need to put Japanese Americans into internment camps had been justified by the government. He appointed the Commission on Wartime Relocation and Internment of Civilians (CWRIC) to investigate the camps. The Commission's report, titled “Personal Justice Denied,” found little evidence of Japanese disloyalty at the time and recommended the government pay reparations to the survivors. On February 24, 1983, the commission issued a report entitled Personal Justice Denied, condemning the internment as unjust and motivated by racism and xenophobic ideas rather than real military necessity. The Commission recommended that $20,000 in reparations be paid to those Japanese Americans who had been victims of internment. 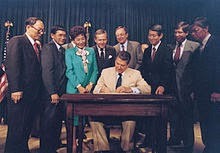 U.S. President Ronald Reagan signed the Civil Liberties Act of 1988, which had been sponsored by Representative Norman Mineta and Senator Alan K. Simpson – the two had met while Mineta was interned at Heart Mountain Relocation Center in Wyoming. The Act provided redress of $20,000 for each surviving detainee, totaling $1.2 billion. The question of to whom reparations should be given, how much, and even whether monetary reparations were appropriate were subjects of sometimes contentious debate. 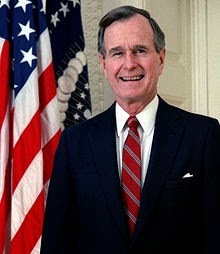 On September 27, 1992, the Civil Liberties Act Amendments of 1992, appropriating an additional $400 million to ensure all remaining internees received their $20,000 redress payments, was signed into law by President George H. W. Bush, who also issued another formal apology from the U.S. government on December 7, 1991, on the very day of the 50th-Anniversary of the Pearl Harbor Attack: "In remembering, it is important to come to grips with the past. No nation can fully understand itself or find its place in the world if it does not look with clear eyes at all the glories and disgraces of its past. We in the United States acknowledge such an injustice in our history. The internment of Americans of Japanese ancestry was a great injustice, and it will never be repeated." Some Japanese and Japanese Americans who were relocated during World War II received compensation for property losses, according to a 1948 law. Congress appropriated $38 million to meet $131 million of claims from among 23,000 claimants. These payments were disbursed very slowly. The final disbursal occurred in 1965. In 1988, following lobbying efforts by Japanese Americans, $20,000 per internee was paid out to individuals who had been interned or relocated, including those who chose to return to Japan. These payments were awarded to 82,210 Japanese Americans or their heirs at a cost of $1.6 billion; the program's final disbursement occurred in 1999. 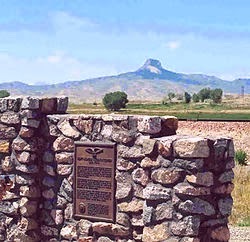 Under the 2001 budget of the United States, it was also decreed that the ten sites on which the detainee camps were set up are to be preserved as historical landmarks: “places like Manzanar, Tule Lake, Heart Mountain, Topaz, Amache, Jerome, and Rohwer will forever stand as reminders that this nation failed in its most sacred duty to protect its citizens against prejudice, greed, and political expediency”. On January 30, 2011, California first observed an annual "Fred Korematsu Day of Civil Liberties and the Constitution", the first such commemoration for an Asian American in the U.S. On June 14, 2011, Peruvian president Alan García apologized for his country's internment of Japanese immigrants during World War II, most of whom were transferred to the United States. The United States is a relatively young country. We’re still working things out to allow all of our citizens to receive fair and equal treatment, in wartime and in peace. Although it is disturbing to learn that these terrible things were done and that we still don’t have a perfect government, I am hopeful that we can get our act together and find ways to allow everyone in this country the freedom and civil liberties they deserve. Before I go, I wanted to lift the mood a touch and wish you all a very merry Christmas and a New Year filled with love, prosperity, and happiness! Howdy all, thanks for the great time in the Sweethearts corral! Merry Christmas in Jesus’ name, and a most blessed 2015! Okay, so if you’re like me...places you go inspire your stories. I drove through Red Cliff, a tiny mountain town in Colorado a year ago, when my story Open Hearts cried out to be set there. So back at the condo, I hunkered down on a snowy day and started to write it. Something similar happened to Reverend Phillips Brooks in 1868. (Good heavens, not that I’m comparing myself to one of the most gifted orators of the 19th century.) Nonetheless...the young Pennsylvania pastor (1835-1893) was touring the Holy Land at Christmastime when he got the inspiration for the most popular Christmas carol of American origin. Gazing down on Bethlehem on Christmas Eve, he experienced one of the “sublime memories” of his life. Three years later, he wrote a poem about that night, O Little Town of Bethlehem, for the children of his Sunday School at Holy Trinity Church in Philadelphia. Church organist Lewis Redner (1830-1908) promised to write a melody for the poem so the children of the Sunday School could sing it at the next Sunday’s church service. When he went to bed on Saturday night, he had yet to compose a melody. During the night, he claimed an angel refrain woke him, Jumping from bed, he quickly jotted down the notes he’d heard. He presented the new song the next morning, and Redner forever after insisted the music was a gift from heaven. Phillips Brooks, who became one of the greatest orators and best-loved preachers of the 19th century, was the Episcopal Bishop of Boston when he died in 1893. He was popular for preaching not from the pulpit but from the chancel steps. Lewis Redner remained organ-master and composer at Holy Trinity for 19 years. Anyway, to make writing this post even more fun, the wonderful Prairie Rose Publications has just released Open Hearts, originally part of an anthology, as a singleton story for just 99 cents! 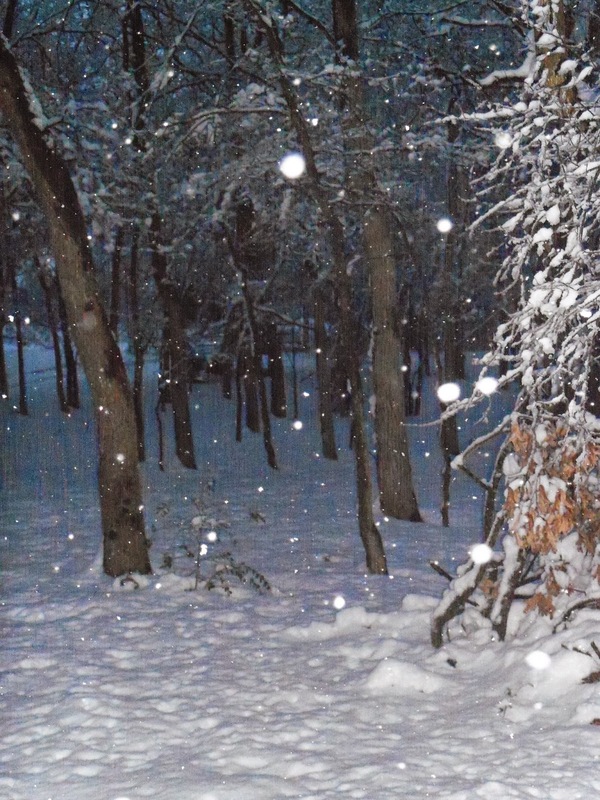 If you love snowbound love stories, this one’s for you! Ps. The hero’s name was inspired by one of my former students! He and his wife were delighted when I asked if I could use Keith’s name in a story! To honor her brother’s last request, Barbara Audiss takes on his identity as a district judge. Letting loose her secret will get her arrested. 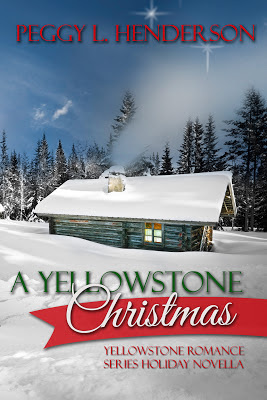 But keeping it prevents her from giving her heart to handsome sheriff Keith Rakestraw. Furious at “Judge Audiss’” latest verdict, Keith discovers she’s a fake and consequences seem easy: toss her in jail. But he finds himself eager to give her his heart. Often, by the time the immigrants arrived at their destination, they were dire straits. Their provisions were gone, their money was low and winter was setting in. In many cases, the women who started out with a husband arrived a widow. 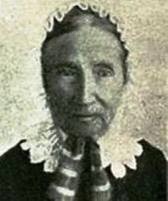 Lucinda Cox Brown left Illinois in 1847 and traveled with her husband, three small children, her father and his children and an uncle and his family. Her husband, Elias, took ill half-way through the journey, probably with typhoid and died. I’m sure her extended family helped Lucinda make the rest of the trip to Oregon. Once she arrived though, she was destitute, owning only the clothing she and her children wore. With three children to feed and shelter, she made clothing and caps during the winter. The following spring and summer, she plaited wheat straw and made hats trimmed with ribbons. They were a huge hit with the women in the area and Lucinda not only supported her family with her earnings, she made enough money that she was able to obtain a homestead in 1849. She remarried two years later and had several more children. It is not known if she continued to make hats after she married, but her innovation kept herself and her children from starving. I’ve discussed Tabitha Brown in a previous post (find it HERE) and mentioned this already, but Tabitha’s story didn’t end with her arrival in Oregon. 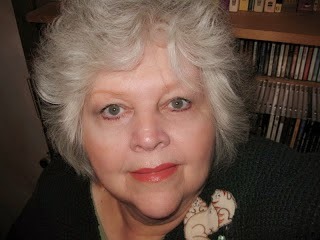 Tabitha started the journey in her sixties, already a widow. Her older brother-in-law traveled with her and Capt. John Brown took sick on the trip. They arrived at the end of the trail much like, Lucinda, with only the clothes on their backs. It was then that Tabitha discovered that what she thought was a button at the end of a glove’s fingertip was really a six-and-one-fourth cent piece. She used the meager amount to “purchase three needles and traded off some of my old clothes to the squaws for buckskin, and worked it into gloves for the Oregon ladies and gentlemen.” During her first winter, she profited $30. Tabitha’s story doesn’t end here either, and though I’m more set to discuss those women who survived by gumption, I’ll tell the rest of her story. In October 1847, while visiting her son on the West Tualatin Plains, (now called Forest Grove) she met the Reverend and Mrs. Harvey Clark, missionaries in the area. She also learned that many children were left orphaned on the trail. She was moved by this revelation and asked The Reverend Clark “Why has Providence frowned on my and left me poor in this world? Had He blessed me with riches as He has many others, I know right well what I should do. I should establish myself in a comfortable house and receive all poor children and be a mother to them.” Believing in her sincerity, Rev. Clark provided her with the means to start up a school for orphans. In the Spring of 1848, Tabitha “found all things in readiness for me to go into the old meetinghouse and cluck up my chickens for the next Monday morning.” The first school in the territory to board children, local families also sent their children to be educated. Those who could afford it paid a dollar a week per child. By 1851, her ‘family’ had 40 people at Tualatin Academy. In 1854, the territorial legislature altered the academy’s charter to provide for the creation of Pacific University. The academy and the college thrived under Tabitha’s tutelage. The growth of a local public high school caused the Tualatin Academy to be closed in 1915 and Pacific University stood on its own -- a pioneer institution of higher education. Tabitha died in 1858 and is buried in the Pioneer Cemetery in Salem, Oregon. Luzena Stanley Wilson learned her first day in a California gold mine town what she was worth…or rather what her cooking was worth. Luzena, her husband Mason and their two young sons left Missouri in 1849 in search of riches in the gold fields where gold “lay in the creeks and mountain valleys, ready to be scooped out with just a spoon.” A few months later, they had crossed the plains, mountains and valleys, “plodding, unvarying monotony, vexations, exhaustions, throbs of hope and depths of despair” to arrive in Nevada City, California. After scrubbing her boys back to their natural hue, Luzena set about fixing supper. A man approached and offered her $5 for biscuit. Before she could answer, he upped the offer to $10 (about $250 in today’s dollars). No fool, she took the money and realized where her value lay. She studied the market and discovered that the local hotel charged a $1 a meal. As Mason searched for gold, Luzena set up a restaurant, chopping the steaks and planks for tables herself. Her husband arrived back home, weary and worn one evening to see 20 men eating dinner his wife had cooked, each paying a $1 for the meal. Less than two months later, she had saved over $700 and calculated what to do with her profit. With Mason’s help, they built a bare wooden building and served between 75 to 200 boarders a week. 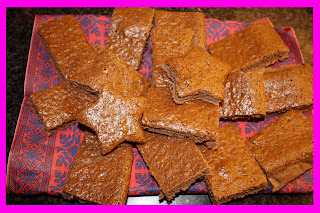 Her reputation for clean beds and good food drew in the customers. Eventually, the Wilsons built a store and a bank. But all their ventures, hotel, store and bank were destroyed in a fire that swept through Nevada City. The family was left with the clothes on their backs and $500, a very small amount considering at one time, Luzena had stashed over $200,000 in her bedroom. The family sold their plot of land and moved on to Vaca (later to become Vacaville….a town I lived in as a toddler). There they started over and eventually became substantial land owners. Twice more, Luzena lost her businesses to fire, but each time, she recovered and survived. Luzena died in 1902 in San Francisco. Mrs. A. B. Eaton opened her door in San Francisco one day to find a distraught young lady who had just landed in the port city after a journey around Cape Horn from the east. Her brother was supposed to meet her, but he wasn’t there when the ship arrived. The girl was in a strange town with no one to help, but turned to the woman with a kind face. This encounter led Mrs. Eaton to establish, with the help of churchwomen from various denominations, the Ladies Protection and Relief Society, dedicated to rendering “Protection and assistance to strangers, to sick and dependent women and children." The organization provided an orphanage and temporary shelter to women in need. Women did what they had to do to survive in the harsh new land. If they could cook, they served food, they built hotels or boarding houses or they did laundry. The men may have left the East in search of fortune, but, as it turned out, they really didn’t want to leave civilization. Globe Pequot Press, 2000. Guilford, CT.
Schlissel, Lillian. 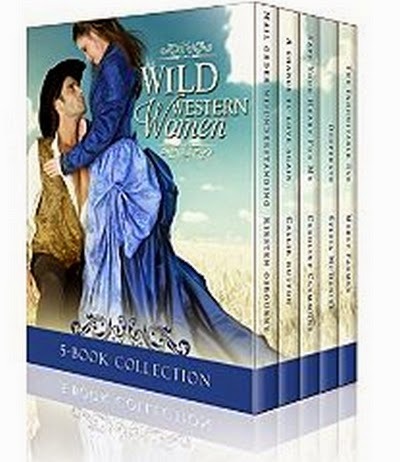 Women’s Diaries of the Westward Journey. Schocken Books, Random House, Inc, 2004. What would Christmas be without Christmas carols? The tradition of caroling—wherein bands of marauding singers rampage through neighborhoods, doing their best to carry tunes across unsuspecting others’ lawns—has fallen by the wayside, but the carols themselves remain. Many of the most enduring carols arose hundreds of years ago in Europe as religious hymns, but a surprising number were American-made in the mid-1800s. Evidently, American Christmas carol ingenuity upset the British, who have been doing their deal-level best to sow seeds of confusion ever since. A 1996 Gallup Poll ranked “Away in a Manger” the second most popular Christmas carol in Britain, but the song was written by a Kentucky lawyer, minister, and composer named Jonathan E. Spilman. More than 41 adaptations of Spilman’s 1837 melody exist. The most popular U.S. version is James R. Murray’s 1887 arrangement; in Britain, William J. Kirkpatrick’s 1895 arrangement—a slight variation of Spilman’s original work—is more popular. The two harmonize so well, though, that many contemporary performances weave them together. Edmund Sears, pastor of the Unitarian Church in Wayland, Massachusetts, wrote the lyrics for “It Came Upon the Midnight Clear” in 1849. 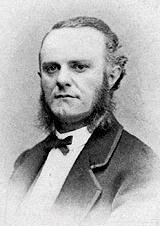 The melody didn’t come along until 1850, when Richard Storrs Willis, who had studied under Felix Mendelssohn, composed a tune he called “Carol.” Willis’s arrangement remains the most widely known in the U.S. On the other side of the Atlantic, however, the British appropriated the lyrics and set them to “Noel,” an 1874 hymn written by Arthur Sullivan. The two songs sound nothing alike. 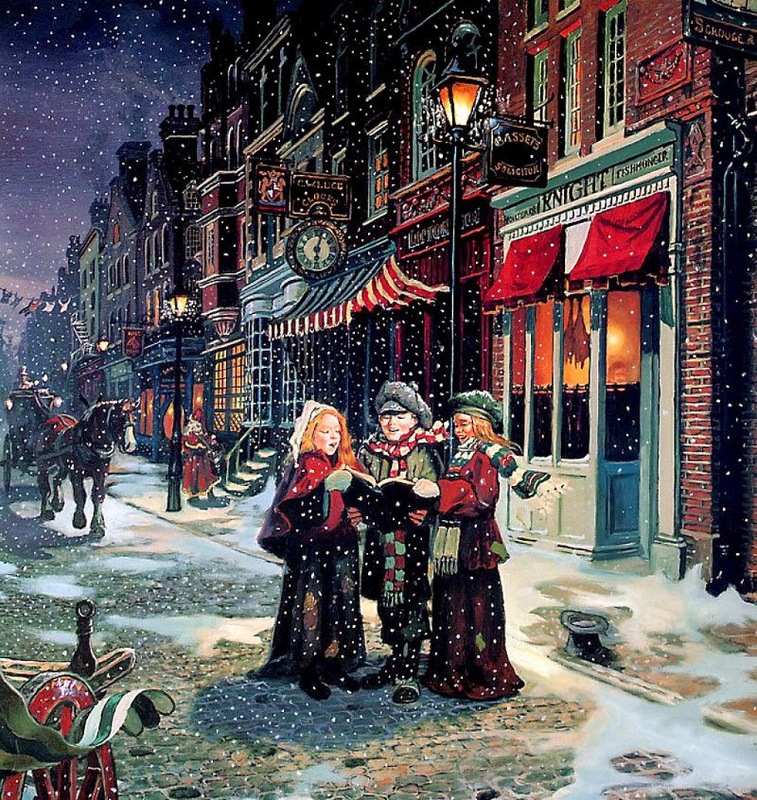 One of the best-known Christmas carols was written to celebrate Thanksgiving. A plaque in the town square in Medford, Massachusetts, commemorates the song’s birth from the pen of James Lord Pierpont inside the Simpson Tavern in 1850. Though Pierpont was a church organist, “Jingle Bells” is one of the few classic carols that was never intended to be a hymn. 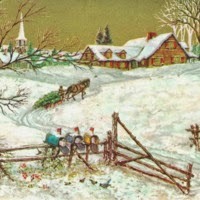 Instead, the song was inspired by Medford’s popular sleigh races. Of note: The British didn’t tinker with this one. 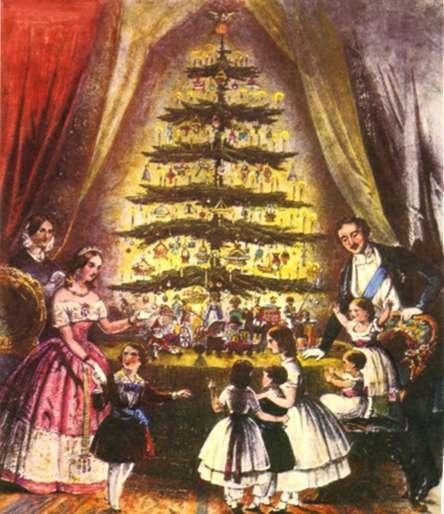 John Henry Hopkins Jr., an Episcopal deacon and music director for the General Theological Seminary in New York City, wrote “We Three Kings of Orient Are” (originally “Three Kings of Orient”) for his students to sing during an elaborate 1857 Christmas pageant. The song gained popularity right away, becoming the first American carol to be embraced internationally in its original form. In fact, “We Three Kings” received the singular honor of publication in Christmas Carols Old and New, a prestigious and influential collection of carols published during the 1870s in the U.K. Even then, the Brits couldn’t resist fiddling: Although Christmas Carols acknowledged the song’s parentage, the editors flipped the order of two verses. All of these carols would have been familiar in the Old West. Imagine cowboys riding night herd and serenading the dogies with these ditties. They very well may have done exactly that. Wherever you are and however you celebrate, I wish you a merry holiday season filled with joy and peace. And the stockings were hung . . . I 've said before how much I love Christmas. Winter and the Holidays are absolutely my most favorite time of year. The decorations, the trees, the stockings . 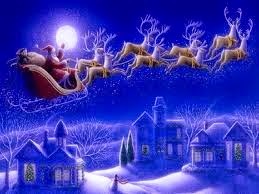 . . the excitement and anticipation of the children waiting for Santa Claus. Another of my favorites is the poem by Clement Clarke Moore, and I thought I's share it with you. 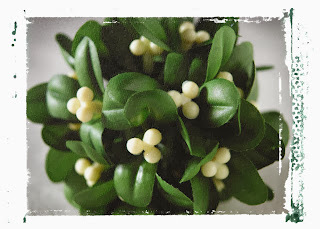 I hope you've enjoyed a revisit to Mr. Moore's poem and a glimpse at some of the pictures of my family's Christmases past. We wish y'all a very Merry Christmas!